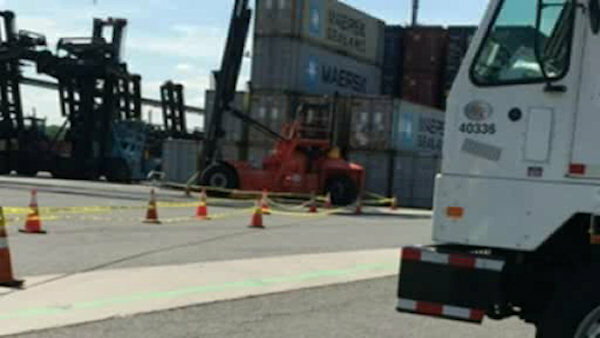 ELIZABETH, N.J. -- A dockworker in New Jersey is dead after an accident involving a top loader. Police say a male coworker was driving a large top loader when he struck fellow dock worker, 49-year-old Judy Jones, Friday afternoon at the port in Elizabeth. Jones died at the scene.